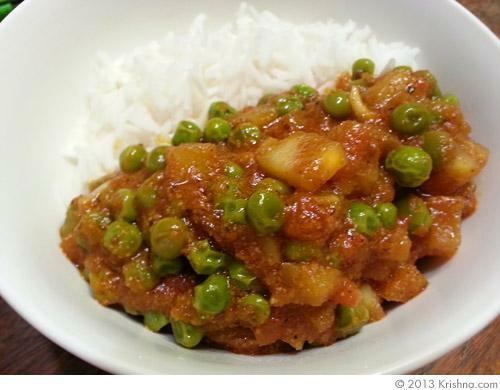 This is one of those lovely, rich dishes that is best when home made. 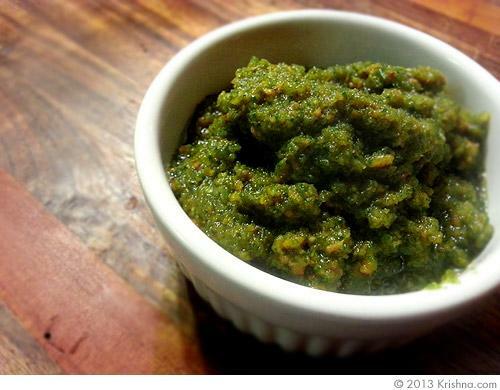 It's surprisingly easy, and great way to practice using traditional Indian spices. 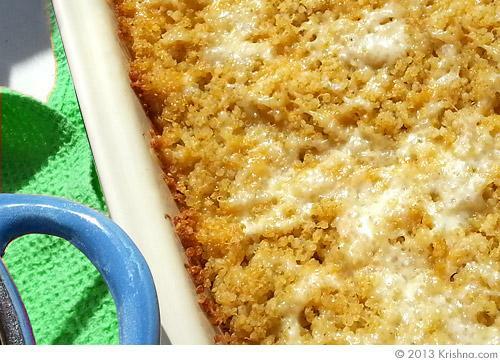 If you've never tried quinoa before, you might like this cheesy baked version. It's a great addition to your diet because it's has all the nutrition of beans and whole grains combined. And the cheese makes it even yummier! Make your own soup stock starter, perfect for starting many different kinds of soup, risotto, gravy, rice, and a variety of dishes. If you like the convenience of store-bought bouillon or stock cubes, try this alternative with no garlic or onions. This lovely no-cook soup is wonderful to serve during the summer or alongside spicy dishes. 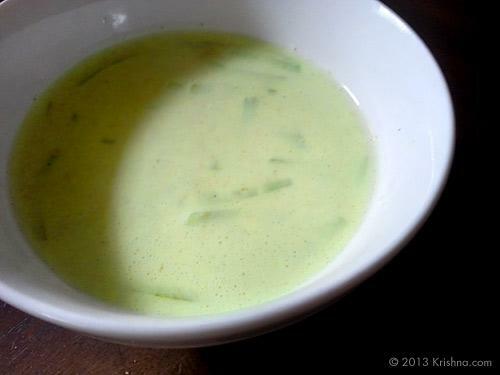 If you like cucumber raita, you should try this soup! 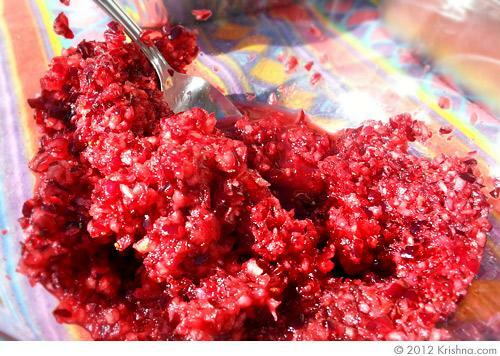 This bright red relish looks gorgeous, but tastes even better, with hints of ginger and sweet citrus. This recipe for Tamater Kabli Ghana Usal was offered in a 1983 issue of Back to Godhead magazine, alongside an article by Vishakha Dasi about the popularity of chicken in the Western diet. 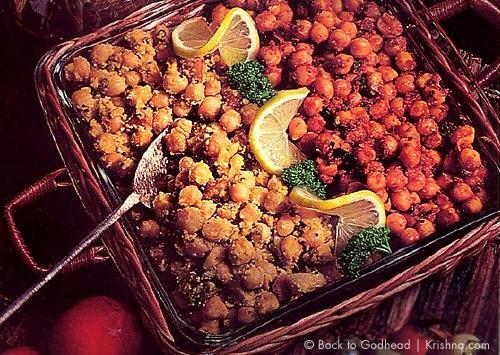 She offered the chickpeas (garbanzo beans) as a great substitute in your diet. Pineapple soup? 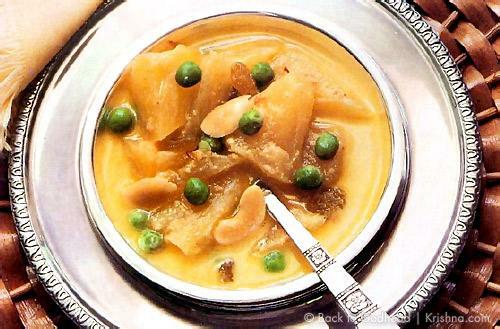 In almond broth with chili, ginger and mustard seeds? At first I was confused about this soup, but it's an interesting traditional dish that will grow on you. 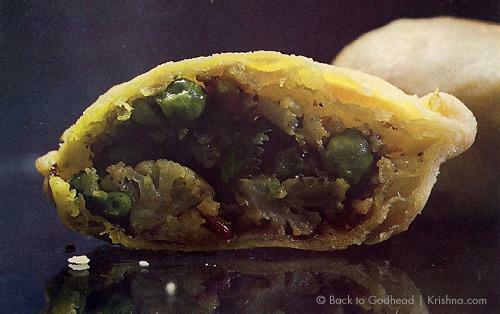 These savory pockets of spicy vegetables take some time to make, but are very worth it! 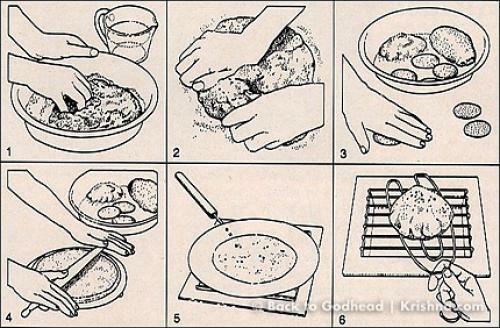 This vintage recipe for chapatis is an informative look at the healthy side of eating this very essential flat bread. Peanut butter is one of those things that people either love or hate. 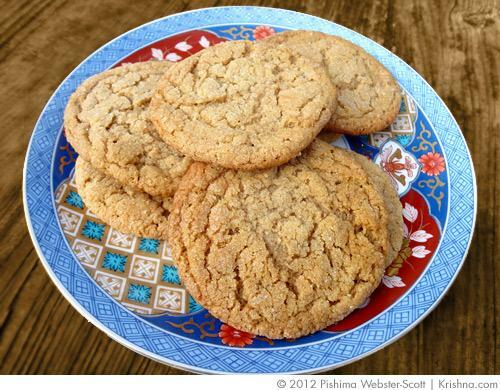 But what about delicious peanut butter cookies? These are easy to make, and always turn out just right.